Dinah is hand drawn elegance and bold typography. 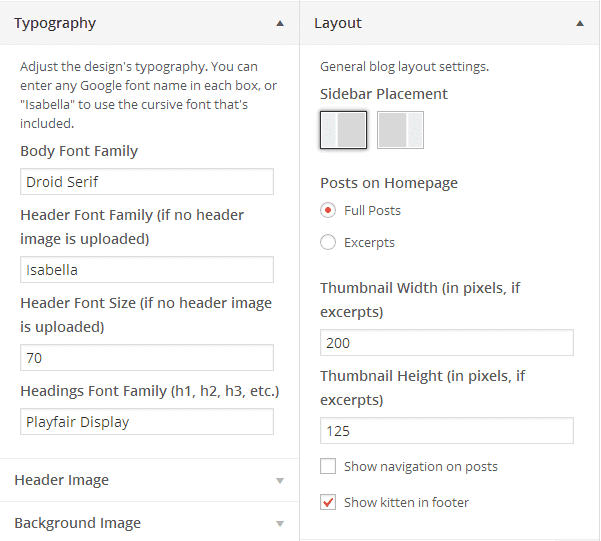 Display your header in plain text (choose your own Google font) or upload your own custom image. Enable global announcement and footer widget areas. Adjust the maximum layout width. Choose between two sidebar placement options (left or right). 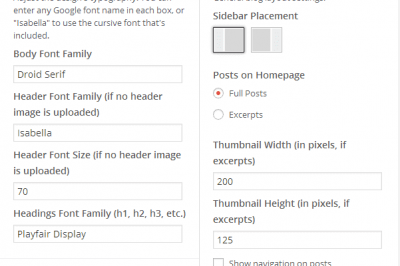 Toggle between showing full posts or excerpts on the homepage. Translation-ready. Just pop your translation files inside the /languages/ folder. Don’t just take our word for it—check out the demo and see for yourself how awesome this theme is! It couldn’t be easier to create a beautiful “About the Blogger” widget. 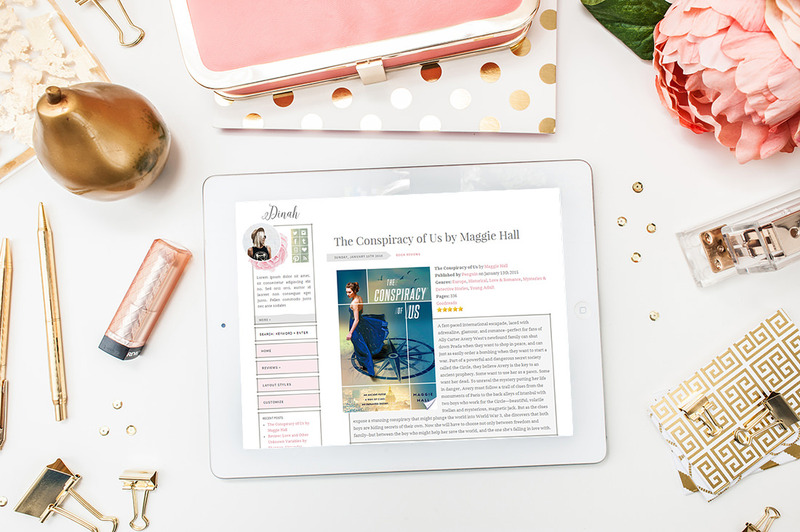 Since we designed such a unique section for displaying blogger information, we knew we had to turn this into a totally custom widget, so that’s what you get! The “Dinah: About” widget allows you to upload a custom profile photo, add your biography, insert your social media links, and even select your “About” page so you can link there for more information. Note: The profile image you see on the demo site is by Sara Kiesling and is not available within the actual theme. But you can upload your own profile image or logo! 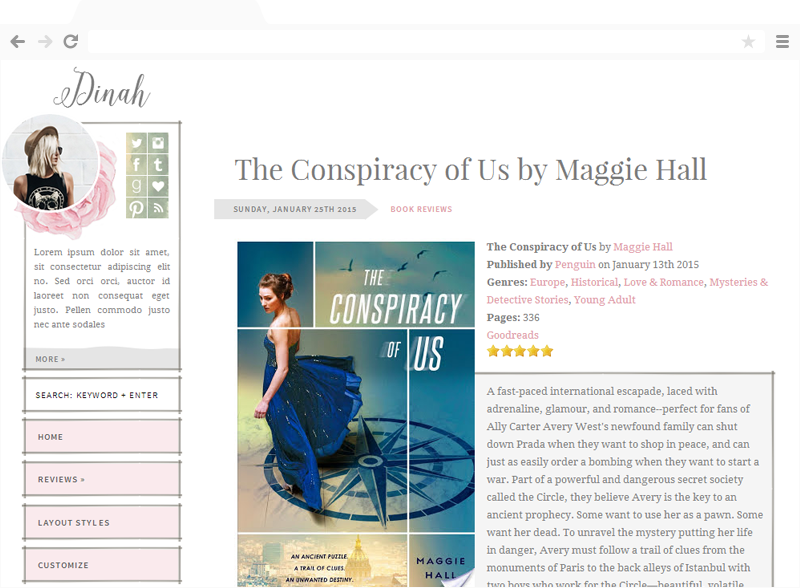 The Dinah theme is completely responsive. We’ve designed and coded it to look beautiful on all devices, including desktops, laptops, tablets, and smartphones. Dinah utilizes the built-in WordPress Customizer. This means you can perform the “Live Preview” action to take the theme for a test drive before you activate it. You can change all the theme settings straight from the Customizer panel. * “Lifetime” or “life” refers to the life of the product—not your human life. As long as the product is being sold, you will receive support and updates. Dinah was designed by Anna Moore and coded by myself. Anna is a web designer with almost 20 years of design experience. She currently resides in the lovely state of Tennessee with her adopted fur babies (two cats, two dogs), and has an obsession with the ocean, Historical Fiction, flowers, smoothies, and video games. Updated license key page. It'll now show more useful messages. Removed colour coded posts (now in a plugin). Removed favicon setting, as it's now available in WordPress core. Fixed sprintf() errors in 404.php template. Added a few strings to translation-ready functions. Fixed issues with image upload on the about widget. You may need to re-set your image. Removed Isabella font in favour of Google fonts. 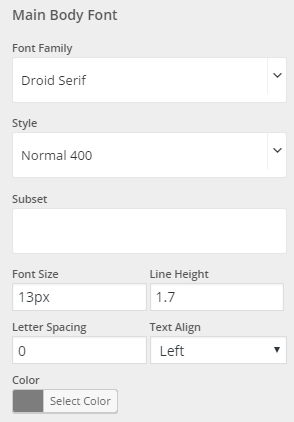 Added more font options to the "Typography" section in the Customizer. Fixed a problem with the license key not displaying in the box after you enter it. Tweaked the code for displaying post thumbnails so it works when having Jetpack's Photon enabled. Added a new option in the Customizer ("General" tab) for entering your Nose Graze affiliate ID number. This will append your affiliate ID to the credit link. Changed the credit link and URL from Creative Whim to Nose Graze. Tweaked the code in the featured image thumbnail function to make it compatible with UBBv3. Added a new option to show the comment count below the title. This is found in Appearance > Customizer in the "Layout" tab.